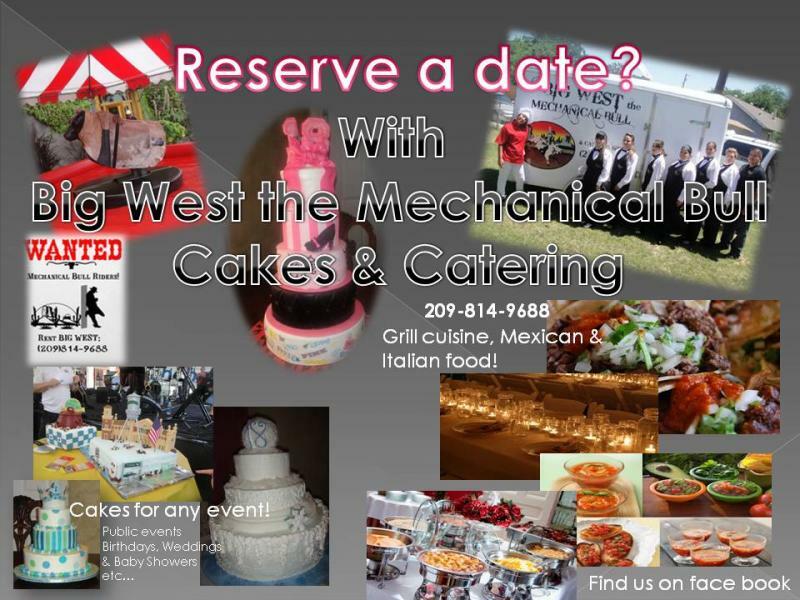 Big West the Mechanical Bull, Cakes & Catering - CATERING AT IT'S BEST, WE ARE MOBILE AND WE COME TO YOU! 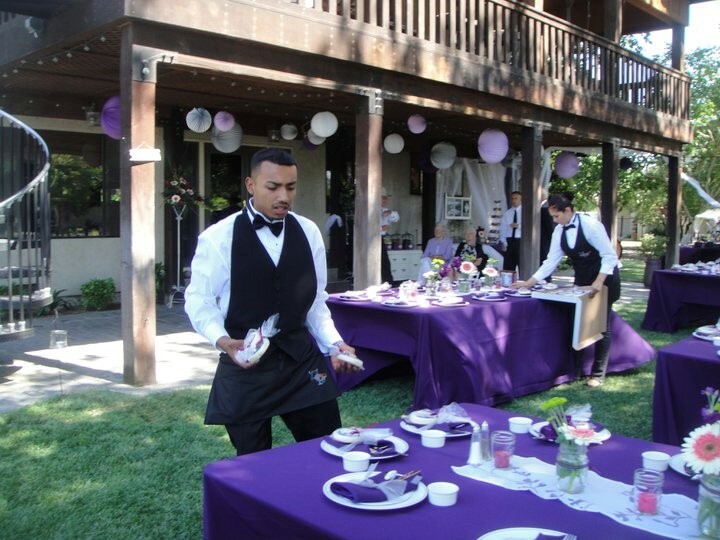 CATERING AT IT'S BEST, WE ARE MOBILE AND WE COME TO YOU! Let us cater your next event. We specialize in catering customized menus for your special events..small or large as an intimate dinner for 2, or birthday parties to weddings, graduations, company picnics, any event you may wish to have catered. We offer a wide range of pricing to meet everyones budget. We'll be happy to create a menu to suit your taste and are open to your ideas for what you want, in order to make your day as perfect as can be; all our menus are simply ideas, feel free to design or add your own ideas to help create the right one and make your special event, exactly that, SPECIAL! We are proud to inform you that we have a well respected Executive Chef, open to create a wide variety of new dishes for our devoted clients; and hoping to enlightened new ones as well. We invite you to experience for your self and your guests the enriched flavors of our cuisine, you won't be dissapointed! We look forward in being of service to you in a near future. INITIAL STEP, IS TO CONTACT US THROUGH OUR CONTACT PAGE OR SIMPLY CALL US ANY TIME. WE WILL THEN SEND OUT A PRESENTATION WITH INFORMATION and OPTIONS OF LEVEL OF SERVICE TO MENU IDEAS. GO OVER THE OPTIONS AND DECIDE WHAT ITEMS YOU WOULD LIKE TO SEE ON YOUR CUSTOMIZED MENU FOR YOUR EVENT. AS SOON AS WE HAVE THIS INFORMATION WE CAN SUPPLY YOU WITH AN ESTIMATE. THANK YOU!